See, this is what happens when you don't go into the yarn store with your "game face" on. 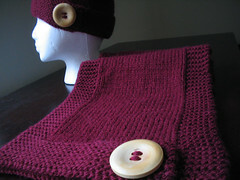 You allow the pretty colors and softness of the yarn to hypnotize you, and you end up buying it. 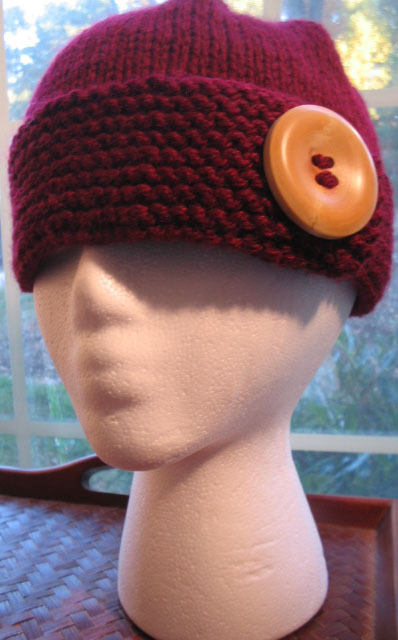 Then, when you snap out of the trance, your brain kicks in and you realize that you probably wouldn't have bought the yarn if you'd thought about the fact that you have to knit it with size ones. 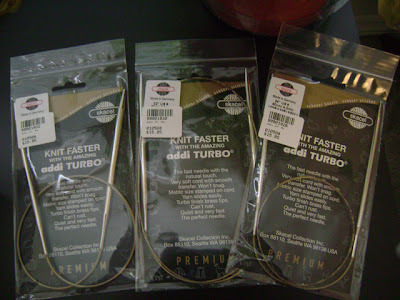 I only wanted to go into Great Yarns to get a set of size 9 Addi Turbos, 24" length. 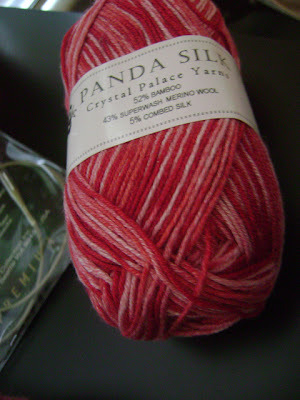 I saw the pretty pinks and reds in this sock yarn and simply HAD to have it. And I'm not even a frequent knitter of socks. I have exactly 1.5 pairs of socks that I've made. 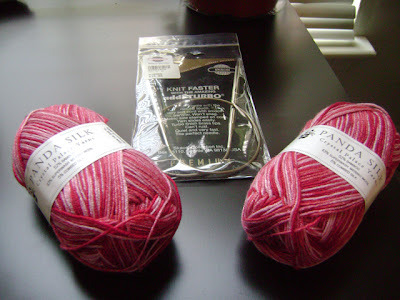 I don't know what this yarn is going to be yet. It might be socks. It might not be socks. Who knows. The good thing about the purchase is that it allowed me to fill up my frequent buyer card, which then became a $25 gift certificate. And what did I do? Well, the only logical thing I COULD do. I bought two more sets of Addi Turbos. And you thought I wasn't thinking, eh? Aside from spending money in local yarn stores, one of my favorite things to do on Saturday afternoons is to browse used book stores for treasures. There are two here in Raleigh that I like to go to: The Reader's Corner and Nice Price Books. They're right across the street from one another on Hillsborough street near NC State. Occasionally, you can find nice books to add to your library. I just like to go for the hunt. I found these two books today. 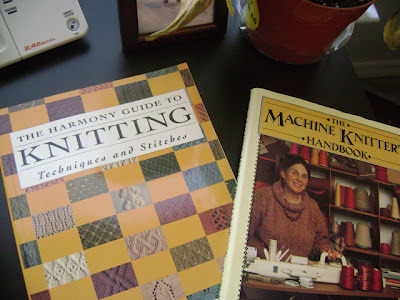 The stitch dictionary was a mere $7, and the old school Machine Knitters Handbook was $6. There's no such thing as having too many knitting reference books, is there?